SHOCKING FIGURES have revealed that 90 per cent of Inishowen’s most dangerous drivers banned from getting behind the wheel have not had their licence numbers recorded in court. This has allowed some of them to flout the law and continue to drive, because without recording driving licence numbers of drivers disqualified in court, it means the computer system accessed by gardai is not updated. Since 2013 until March 2015, in Donegal there were 888 people banned from driving, yet just 92 of these people had their driving licence numbers recorded – which means the remaining 796 don’t appear on gardai and the Road Safety Authority’s computer systems. During this period, in Carndonagh, there were 44 drivers disqualified – just four of these had their driving licence numbers recorded. While in Buncrana, there were 57 disqualified drivers of which only eight had their driving licence numbers recorded. The Courts Service said that in cases where licence numbers were not provided the RSA undertakes an exercise to match the conviction with a specific driving licence. And gardaí have reportedly told national media that even though licence details are not recorded, they are still able to identify them through their names and addresses. 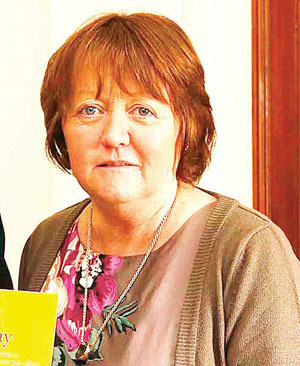 However Road safety campaign group chairwoman, Susan Gray (pictured), is horrified by the figures. The figures come just weeks after 117 disqualified drivers were arrested and charged after gardaí were given new powers to take high-risk drivers off the road. Until recently, members of the force were not authorised to arrest banned drivers. They had to be summoned to court, a process which could take months to complete.